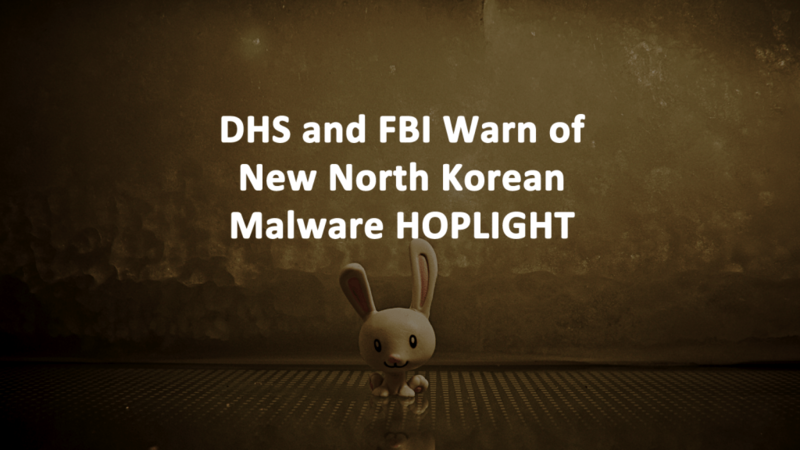 The Department of Homeland Security (DHS) and the Federal Bureau of Investigation (FBI) are warning the public of new North Korean malware known as HOPLIGHT. A joint DHS and FBI official advisory, AR19-100A, identifies the Trojan malware variant, HOPLIGHT, which is associated with hacking group Lazarus. 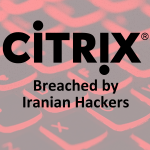 Malicious proxies are used hide their location while the malware steals system information and credentials from the hacked machine. 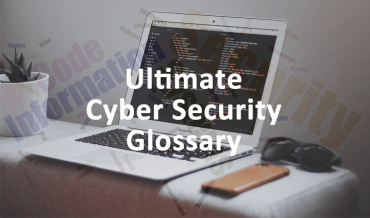 The malware uses valid public Secure Socket Layer (SSL) certificates to disguise network connections with hacker’s systems. HOPLIGHT malware is a bundle of nine files. 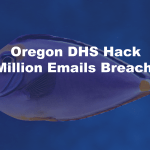 Two of the nine files deliver malware while the other seven work to obscure the cyber attack from detection cyber security defense software and system administrators. The seven files are proxy applications which hide internet traffic between the malware and Lazarus servers using valid SSL certificates. The eighth HOPLIGHT malware file contains a valid, public SSL certificate and the payload, which is encrypted with a password or key. It opens and binds a socket and uses an SSL certificate from Naver.com, the largest search engine in Korea, to establish a secure connection for communications. Naver.com also provides services globally. The ninth file attempts an outbound connection to the hacker’s server and transmits stolen data. It also drops four files which contain hardcoded IP addresses and SSL certificates. 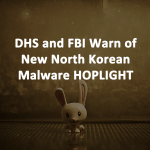 The United States Computer Emergency Readiness Team (US-CERT) warns that HOPLIGHT malware can read and write local files on a hacked machine. 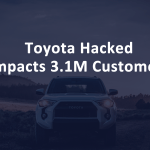 It can also create, terminate, or modify running processes and registry settings as well as connect to a remote host to transfer files in either direction. HOPLIGHT collects system information about the hacked machine including operating system and version, volume information, and system time. It also enumerates the hacked system’s drives and partitions. HOPLIGHT malware also loads several APIs that are associated with Pass-The-Hash (PTH) toolkits. This indicates HOPLIGHT also has the ability to steal user credentials and passwords. What is the Lazarus Group? Lazarus is a hacking group believed to be a state-sponsored operation controlled by the North Korean government. Lazarus is also known as Guardians of Peace, ZINC, and NICKEL ACADEMY. The U.S. Government refers to Lazarus as HIDDEN COBRA. Lazarus tends not to focus on spying or hacking intellectual property. The hacking group steals money for North Korea. The Lazarus Group was responsible for the 2014 cyber attack on Sony Pictures. In the Sony hack, 200 gigabytes of data including internal correspondence and company records were stolen. HOPLIGHT Malware – What to Do? System administrators should maintain basic cyber security measures by ensuring all IT systems are patched regularly and protect from malware.